Mid and East Antrim’s ‘Support Hub’ has helped change more than 100 lives for the better since it launched a year ago. The initiative sees Mid and East Antrim Borough Council, Department of Justice, PSNI, NIFRS and other statutory agencies, working together to help vulnerable individuals get the right support. The framework involves representatives from various agencies, meeting regularly to discuss local individuals who may require support, and working out how those agencies work together to provide help. The idea has helped people through referrals to the right support services or the passing on of information to direct them to different ways to get help. 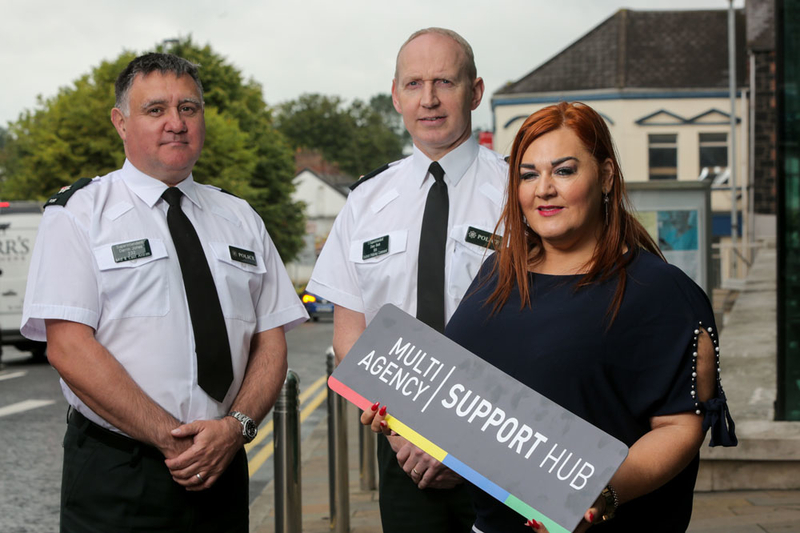 Police Service of Northern Ireland Superintendent Davy Beck explains how the Hubs work: “Each agency in the hub identifies vulnerable people and, with their consent, shares what relevant information they have with the other partners. This helps create a full picture of their particular circumstances. Chief Executive of Mid and East Antrim Borough Council, Anne Donaghy said: “We are delighted to see this initiative across the borough working and changing the lives of families and individuals here. It truly is Community Planning in action by doing what it says, and putting people first. This is further evidence that a joined-up approach benefits us all and we are actively improving services for people in Mid and East Antrim. The Department of Justice’s Head of Community Safety Division Steven McCourt said: “At the heart of this scheme are individuals. Many of them are the most vulnerable people in our communities, men and women who need support. The right help from the appropriate agencies not only helps improve people’s quality of life, but it can also often steer them away from the justice system. The hub meets regularly to help refer people and deals with a number of issues including addiction, hate crime, mental health, physical health, housing and more. The other partners working together in the Support Hub alongside council include Health and Social Care Trust, Northern Ireland Housing Executive, Youth Justice Agency, Education Authority, Northern Ireland Fire and Rescue Service, Northern Ireland Ambulance Service and the Probation Board. To find out more go to our Support Hub pages.